Vulkan Graphics API: what is it and why should I care? Although the Galaxy S7 and S7 Edge did not bring blindingly obvious design changes, their sleek frames do conceal some secrets. Among them, there is Vulkan. What is it? Where did it come from? What does it do? Let us raise the veil on the mystery surround what Google is attempting to do for its high-end products. Presented for the first time in 2015, Vulkan is a 3D graphics platform developed and published by Khronos Group. This application is intended for everyone but it is focused on developers who will use it to produce 3D content, be it for applications, video games or other interactive platforms. What will happen to OpenGL ES, the platform which already fulfils this role on Android? To answer simply, OpenGL ES will gradually be replaced by Vulkan API, starting with current high-end products and moving on to new smartphones down the line. What are the benefits of Vulkan? The truth is that Vulkan has many strengths, but let’s focus on the most smartphone-relevant. The first big news is that Vulkan looks to reduce the overload on different chips and, therefore, allow the CPU to process data more smoothly. Thus, progress made with Vulkan will help to improve not just graphics, but device performance overall, as it could alleviate the load demands placed on processors. Additionally, Vulkan employs a simple, unified language, which will reduce the problems porting games from one platform to another (like from Windows to Android); something that should make life easier for game developers. The final major advantage? 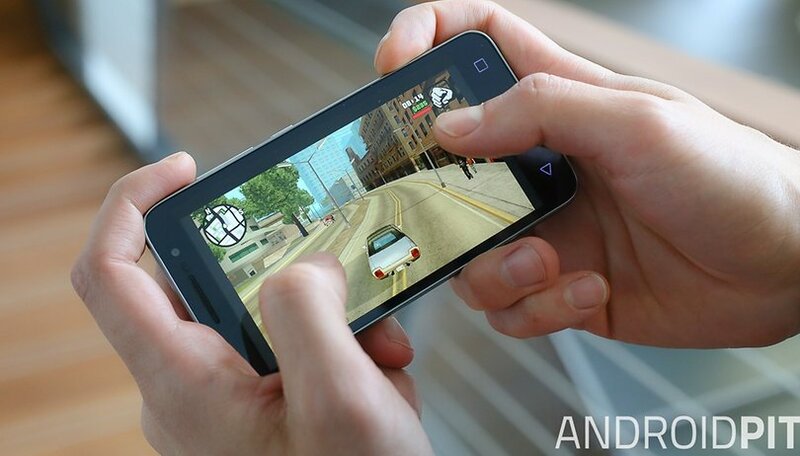 It's going to improve the graphical capabilities of Android games and devices. What role does Google play in this? Google intended to bring the platform to Android Marshmallow in 2015, but this plan was eventually shelved (presumably due to time constraints). Now, with the announcement of Vulkan’s compatibility with the new Samsung flagships, it seems that Google has not forgotten the API. For now, only Samsung has announced Vulkan compatibility, but this exclusivity is surely limited. Looking across the playing field, we can see that many upcoming flagship are set to feature the Snapdragon 820, which will be natively compatible with Vulkan. At MWC 2016, Samsung flaunted Vulkan compatibility by producing a magnificent graphics demonstration led by Tim Sweeney, who is CEO of the famous American games studio Epic Games. That said, it's unclear what variant of the Galaxy S7 (the Snapdragon 820 or Exynos 8890) this demonstration was presented on. What about compatibility with the Vulkan API? Support for Vulkan​, which is currently in version 1.0​, was confirmed by Samsung for the S7 and S7 Edge, but we want to believe that the Note 5, Galaxy S6 Edge, Galaxy S6 Edge+ and Galaxy S6 also support it, perhaps along with even earlier devices, like the Note 4. This is yet to be commented on by Samsung. Qualcomm created the first processor confirmed to provide compatibility with Vulkan: the all-powerful Snapdragon 820, which has the Adreno 530 GPU. To date, this is the best-performing Android smartphone chip (at least on paper). In addition, Qualcomm has confirmed an extended compatibility with type A4xxx A5xxx graphics chips. For now, the exact compatibility has not been established, but Imagination Technologies confirmed that the most powerful of its graphics chips would enjoy compatibility with Vulkan; it’s only a matter of time until we see a full list, then. Again, exact compatibility is not yet known. After conducting a little investigation, I came across a detailed article from ARM where the company discusses the multiple benefits introduced by the Vulkan API. The article also references the Mali-T880MP12 GPU found in the Exynos 8890. And what about Nvidia and Intel? Intel and Nvidia likely wish to remain a key part of the Android ecosystem: there is little doubt that most of their graphics solutions in the future will be compatible with Vulkan, including devices like the Nvidia Shield. All of this is great news for Android. Clearly, the Vulkan API will improve the graphics possibilities in every conceivable way, while reducing, as far as possible, the energy consumption. This could invite new, 3D-oriented product lines which won't run out of battery after five minutes of use. We are yet to see the first real products which will exploit this technology, but it certainly paints a colorful picture for the future of mobile, one that steps a little closer to the level offered by computers. This may still seem far off, but remember that mobile devices are now capable of higher performance than a PlayStation 3 or Xbox 360. What are your first thoughts on the Vulkan API? Shout out in the comments. Curious that no mention of it with Android N :(, guess it will come out in future dev previews.